DR. MICHAEL CRISP (OSTEOPATH) - Plantar Fasciitis is a reasonably common foot injury, responsible for 8-20% of athlete injuries whilst affecting approximately 3.6-7% of the general population at any one time (1,2,3). Patients commonly present with pain where the plantar fascia inserts into the anterior calcaneus (heel bone), intensified after long periods of non-weightbearing (1,2). 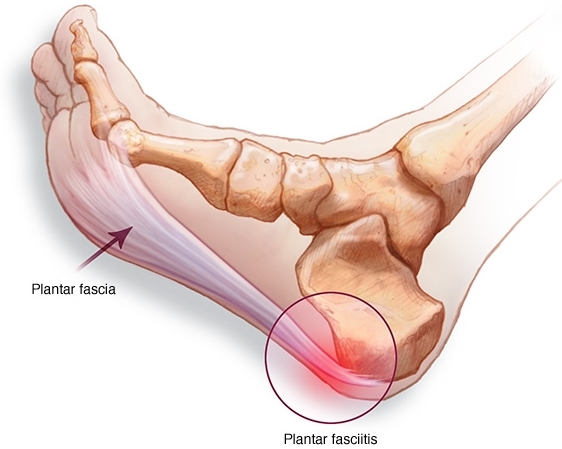 Plantar fasciitis usually resolves in 6-18 months with conservative therapies, only 5-10% requiring surgery (2), although approximately 40% of patients still have symptoms 2 years after their initial diagnosis which suggests that a large portion of patients are not well-managed (1). As we know, plantar fasciitis can be a very difficult injury to live with as well as to treat. The most common conservative treatment options include; manual therapy, stretching, strengthening, orthotics, & taping, whilst cortisone is the most common surgical intervention (1,2,3). Studies have shown there are many similarities in the tissue changes of plantar fasciitis and tendinopathies, with a degeneration of the collagen fibres being the predominant feature as opposed to inflammation as the name would suggest (1,2,3). These studies also demonstrated similarities between tendons and the plantar fascia in response to loading (1,2,3). Therefore these studies theorised that they could treat the plantar fascia the same way a tendinopathy is treated, that being a high-load strength exercise specifically targeting the plantar fascia (https://www.youtube.com/watch?v=AS1AT1yDLlc). These studies showed that there was a significant improvement over a 1-3 month period when compared to stretching, however at 6 and 12 months both groups showed similar improvements (1,3). 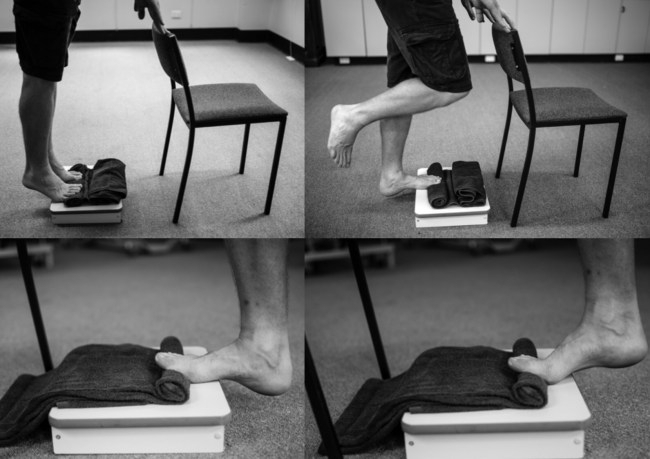 This demonstrates that by using a high-load strength exercise to treat plantar fasciitis we are able to give our patients a quicker recovery time compared to simply stretching the plantar fascia. This exercise coupled with other treatment modalities and exercises allows us to provide the best possible treatment outcomes for our patients. Rathleff MS, Mølgaard CM, Fredberg U, Kaalund S, Andersen K, Jensen T, et al. High‐load strength training improves outcome in patients with plantar fasciitis: A randomized controlled trial with 12‐month follow‐up. Scandinavian journal of medicine & science in sports. 2015;25(3):e292-e300. Wearing SC, Smeathers JE, Urry SR, Hennig EM, Hills AP. The pathomechanics of plantar fasciitis. Sports Medicine. 2006;36(7):585-611. Goom, T. (2018). 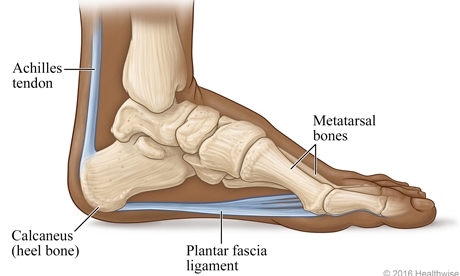 Plantar fasciitis - important new research by Michael Rathleff | RunningPhysio. [online] RunningPhysio. Available at: https://www.running-physio.com/pf-new-research/ [Accessed 31 Jul. 2018].